Oral cancer is a type of cancer that develops in the mouth. It most commonly involves the lips or the tongue. Other structures in the oral cavity that may be involved in oral cancer are cheek lining, floor of the mouth, gums (gingiva) and roof of the mouth (palate). Treatment for oral cancer aims to cure the disease but if this is not possible then treatment aims to prevent the tumour from growing or spreading, increase the life expectancy and maintain the quality of life. Dental treatment: Before starting treatment for any type oral cancer your doctor will refer you for a full dental examination. 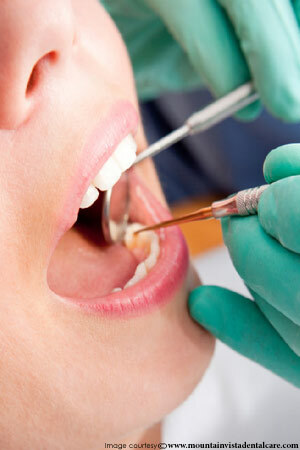 If there are any problems with your teeth then getting the necessary dental work will needed. After starting the treatment the teeth become sensitive and vulnerable to infections. Hence, having good dental hygiene before treatment is started is important. Quitting smoking and alcohol: These are important to improve the chances of success of treatment. Surgery: Surgery for oral cancer, aims to remove the cancer completely if possible, but with minimal damage to the rest of the mouth. Photodynamic therapy (PDT): People with oral cancer in early stages sually undergo PDT. They are given a medicine before surgery to makes the tissues sensitive to the effects of light. The cancer is then removed using laser. Other forms of surgery: In more advanced cancer part of the lining of the mouth and skin may have to be removed. The skin removed for cancer is replaced using a skin flap taken from the forearm or chest. Depending on the organ or tissues affected by cancer oral structures may have to be removed. For instance, if someone has cancer on the tongue the affected part of tongue is removed or if it is the jaw bone or the cheek bone is involved it will be surgically removed. After surgery if possible the removed bone will be replaced with bone from another part of your body; the bone will be put in place either by grafting or prosthesis. Prosthesis is moulded pieces of plastic designed to have the shape and appearance of the removed bone. In addition to removing the cancerous growth, the lymph nodes near the site of the initial tumour are also removed. Radiation therapy: Radiation therapy or radiotherapy uses high-powered energy beams such as X-rays or gamma rays to kill or destroy cancer cells and shrink tumours. Radiation therapy is directed to the affected area and the cancer cells are treated or destroyed. as a single treatment is some cases to treat the cancer. Internal radiation or Brachytherapy: It is often used to treat cancers of the tongue in early stages. In this technique a radiation-filled device, such as small seeds, wires or a cylinder, is placed directly into the tumour for a short period of time. Chemotherapy: Chemotherapy uses strong and potent medications to destroy or kill cancer cells. Chemotherapy is mostly given along with radiotherapy in cases with widespread cancer or if there is a significant risk of recurrence of the cancer. Targeted drug therapy: In advanced oral cancer cetuximab may be given. It is a monoclonal antibody, which targets the cancer cells. It is usually given along with radiotherapy or chemotherapy. What is the treatment of Myopathy?